The pain and tightness on my shoulder made me decide to visit Active Life Chicago Physical Therapy Clinic a couple of days ago. 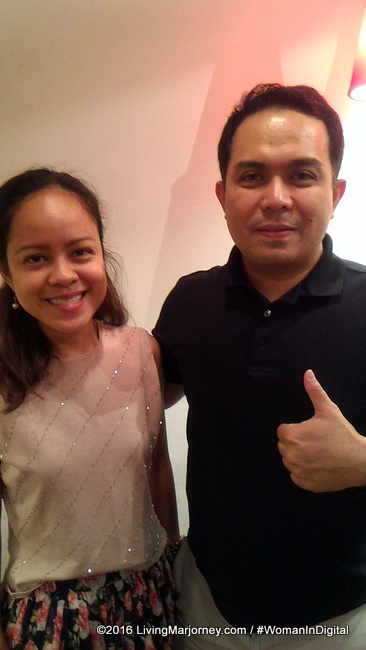 It has several branches in Metro Manila and one is located along Quezon avenue. Active Life Chicago Physical Therapy clinic specializes in knee and shoulder injuries. 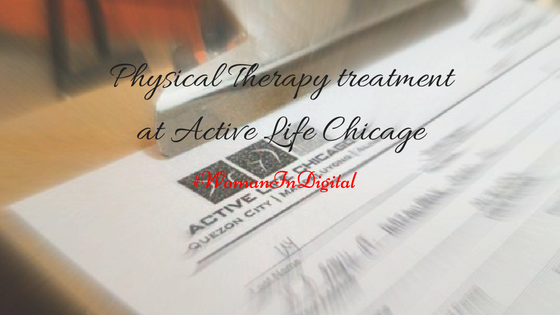 Active Life Chicago is owned by Dr. Ron Samaniego, a registered physical therapist and a doctor of Physical Therapy from Chicago. 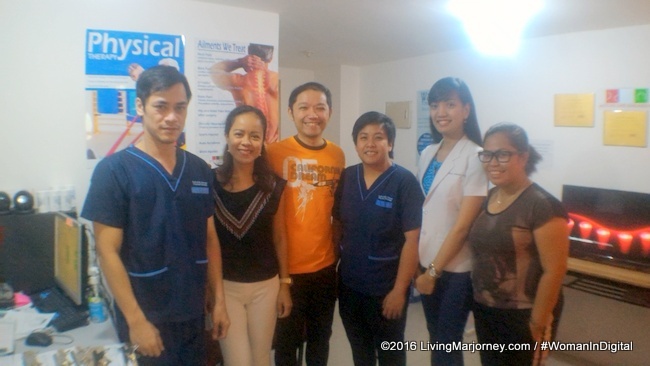 He has more than seventeen years of clinical experience in the Philippines and United States. When he came back to the country, he decided to put up several PT clinics that will cater patients who are in need of modern PT treatments. During my visit in one of his clinics, I was given several treatments for shoulder pain and muscle spasm. PTRP Harold Santiago assisted me, he did a quick medical history and explained the procedure. The diagnosis was muscle spasm with nerve infringement. My shoulder was treated using the following physical therapy machines - accumatic, vibrocussor, laser, and shockwave treatment. I also met Dra. Larraine Vergara MD. The procedure maybe done in other patients, depending on the diagnosis. My husband had the same procedure for his back pain. The physical therapist used the accumatic machine for ten to fifteen minutes. This procedure provides muscle relaxation and tissue healing. You don't have to worry about pain. Although it's something subjective and depends on a person's pain threshold but I could say there's a very mild discomfort. Next is the use of Vibrocussor for ten minutes. It aids in tissue release and somewhat provides a massaging effect. Others would feel dizzy with this procedure, I also felt that way but only at the beginning. This is great way to release entangled muscle which we often feel tight and painful. The third procedure was called laser treatment. It's done for pain relief and deep heating biostimulation. The procedure lasted about 15 minutes. The heat was tolerable just like the usual hot compress I apply on affected area. 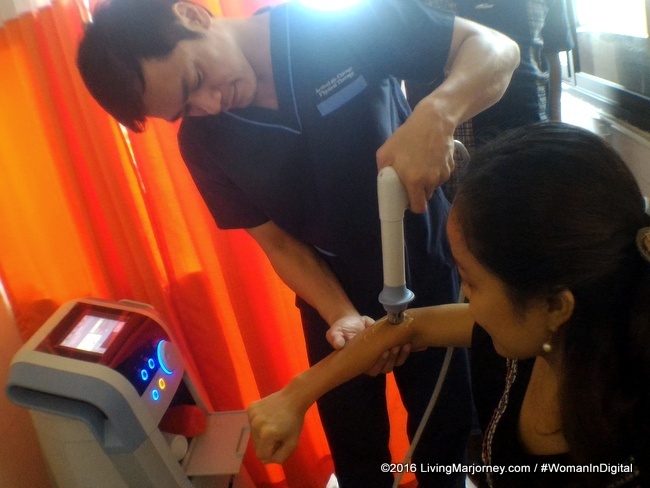 My favorite part of the treatment is the use of shock wave machine. It is given for pain relief and deep heating stimulation which helps in tissue release. The treatment ended with arm stretching. I was also advised to put cold pack at home to promote tissue healing and prevent bruising. Do you have chronic pain at the lower back, shoulder, arms, that needs to be taken care of? I suggest you visit your physical therapist or the Active Life Chicago Physical Therapy. They offer treatment packages depending on your physical therapy needs.